I’m not shy about the fact that I LOVE beauty products. I don’t even wear much makeup myself, but I love playing with it. Into the Gloss is one of my favorite and most consistently read blogs. Birchbox makes me giddy about beauty samples and eager to experiment. I love how bold Ruby Woo makes me feel. I particularly love putting makeup on other people and pretending like I know what I’m doing. It’s like getting to be a painter… on someone’s face. Source: Photopin.com, Creative Commons license. Your face needs more moisture and hydration than you think it does. Having oily skin doesn’t mean that you should skimp on moisturizer; usually, it means the opposite. You’re not getting enough hydration, and so your complexion overcompensates. Learning this one thing has revolutionized my actual face. Splurge on face products; skimp on eye products. Having the perfect base, foundation, or powder matters. But no one can ever tell if you spent $5 or $50 on your mascara or eyeliner. Spend money on the important stuff. Experiment until you find the right thing. Everyone’s face is different. Just because half the blogging world raves about this one product doesn’t mean that it’s the best thing for you. Shop samples and travel-sized products when you can until you find what really works for you. Curl your eyelashes! Unless you have naturally curly eyelashes, putting mascara on without using an eyelash curler first is kind of a moot gesture. Also, learn what your eyelashes need. Study the composition of your eyelashes. Are they short but full? Long but sparse? I have decently long lashes, but they don’t look that full naturally, so I need a volumizing mascara. A lengthening mascara is a nightmare for me. Embrace your natural brows. Don’t succumb to the sin of over-plucking your eyebrows. Define them, cherish them! Trust your natural hair. Don’t fight your hair. Work with it; love it; embrace the frizz (or the straightness or volume or thinness, or whatever it is you were born with). It’s easy to tell when people are fighting against their God-given hair (and it’s often very expensive and time-consuming for such people). 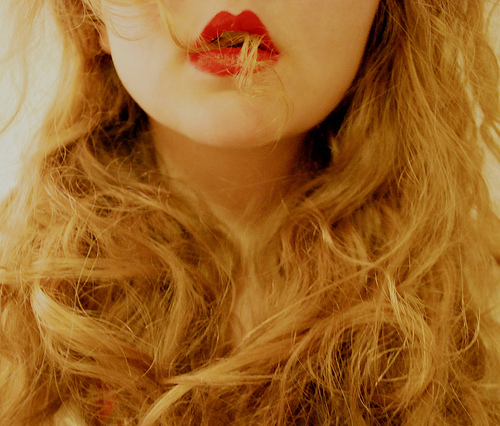 Surrender to your hair. Stop washing your hair so much. Shampooing every day is so bad for your hair. So bad. Stop it. Your hair hates you for it. I now wash my hair twice a week, and it’s immensely happier and healthier for it. Whish Coconut Milk Correcting Gel. $32. This was a Birchbox discovery, and I swear it’s the main thing that’s revolutionized my complexion, because I haven’t changed anything else. It’s a mostly organic serum that’s composed of aloe vera, water, and coconut oil, and I think it might be magic. It’s also marketed mainly to people who are aging and have skin imperfections. I’m aging (aren’t we all?) and I certainly have skin imperfections, and I think it’s really smoothed out my complexion — AND the biggest thing is that I’ve completely stopped having my seasonal acne flare-ups. I’m a bit obsessed. Garnier BB Cream. $12. I’ve tried so many different types of foundations and BB creams, even samples of higher-end products that sell for $50 for a tiny tube, and nothing beats this drugstore version. Kiehl’s Ultra Facial Cream. $26.50. Yes, a lot of money for a little jar, but this is the best heavy cream/night-time moisturizer I’ve tried. Somehow I also trust it more because of its lack of fancy packaging? Reverse marketing psychology? Maybelline The Falsies Mascara. $7. I’ve probably tried 25 different types of drugstore mascara, and this is my current favorite. I’m really into the slight curve of the brush. Benefit Fakeup. $24. I am a very vein-y person. I have tons of veins on my eyelids, and I’m starting to get a bit of darkness under my eyes. This is the best eye-area concealer, because it comes with a moisturizing ring around the concealer itself, so it’s never flaky or drying, and it blends in perfectly with your skin. Love it. Miss Jessie’s Quick Curls. $28. I went on a quest to find the perfect thing for my naturally curly hair, and this is where I’ve landed. I learned that my softer curls got too crunchy with gels, so I was hunting for curl creams. A lot of curl creams can get too heavy or greasy, but this is the perfect stuff. The cream is light and makes great curls on my head, and it smells very strongly of fresh laundry. Which is maybe kind of weird, but it’s not the worst thing for your head to smell like. Shea Moisture Olive and Green Tea Body Wash. $9. Love this body wash, and I love how self-righteous it makes me feel! It’s all-natural with no parabens, mineral oils, chemicals, etc., etc. I’m not loyal to that many brands, because I’m always experimenting, but these three are my tried-and-true favorites. MAC. The serious side of real-deal makeup, but I love everything I’ve ever tried from them. Their lipstick pigments can’t be beat, and their pressed powders are miracle workers. Benefit. I’m not sure what this brand’s deal is, but I also love everything I’ve tried from them. They’re slightly less expensive than some of the more premier makeup brands, too. Essie. It’s completely a looks-based judgment, but I feel like it’s classier than OPI. One day, maybe I’ll try the really high-end stuff (Dior, Chanel, YSL), but for now, I’m enjoying the low-end experimentation. Disclosure: I feel like this is not necessary, but whenever bloggers mention products, I get suspicious, so: I was not paid or asked to say any of this about any of these products. These are my independent and trivial opinions about beauty products. As usual, brilliant and well-written. I am with you on the moisturizing and not fighting with your hair. And Benefit? How they make such consistently good products with enticing packaging and cheeky tag lines is beyond me. I want it all! When I turned $25, my big splurge was spending over $150 on makeup from them and it’s lasted me for over a year now. I don’t regret it at all. And after reading this, I now want to go out and buy pressed powder from Mac. I do have a $20 credit for Birchbox after all…. Yes! Glad to know of another Benefit fan. Also, I have YOU to thank for turning me on to Birchbox! I’m obsessed. Check out my new site!!!! I love this post – so helpful! The only reason I don’t wear makeup is because I’ve never really learned how to apply it and I have a fear of looking completely ridiculous, like a five year old playing with her mother’s beauty products. It’s weird, because I had two older sisters to teach me, but I guess I was too much of a tomboy to be interested! Do you use dry shampoo at all? I know I should be washing my hair less, but it’s a must after a workout in the pool, and I would feel weird not washing it after running. New idea – I need to come to Charlottesville and attend Abby’s School of Beauty! I am a fan of DermaE for night cream—heavy, but not greasy, and no odor. Heavenly. For foundation, I splurge–Armani Face Fabric. Also smells good and very light. 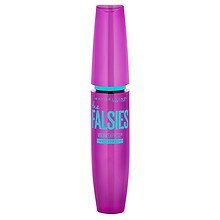 I recently got that Falsies mascara and it really does make me feel like I’m wearing false eyelashes! It’s crazy. Now I’m curious to try the Quick Curls, since your last recommendation worked so well for my hair (I still use that Aveda gel nearly every day!). I actually used to use Miss Jessie’s Curly Pudding in high school – another realllly strong-smelling cream that grows on you (guys used to stop me in the hall to tell me my hair smelled good, haha). Now I think it would be a bit much for my hair, though, too heavy. Abby, have you ever used an eyeshadow primer? My eyeshadow always gets creased and slides off by the late afternoon, but I’ve wondered if primer is worth it. If you’ve tried any, I’d love to know your thoughts.